It’s Magic is IGT based mobile video slot game of 5 reels and 50 Paylines for which total coins are 75 and coin size range starts from 75p per spin to £150 per spin. 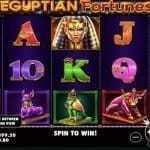 This slot gives you a great chance to win 1,600 times on your total stake and it contains 3 bonus rounds. 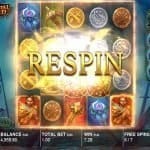 One of the bonus rounds is Free spin feature which could get you 10 to 45 free spins. It’s Magic video slot comes with a Wild Reel feature where you will be able to get a wild reel, once a symbol appeared staked on your previous spin. 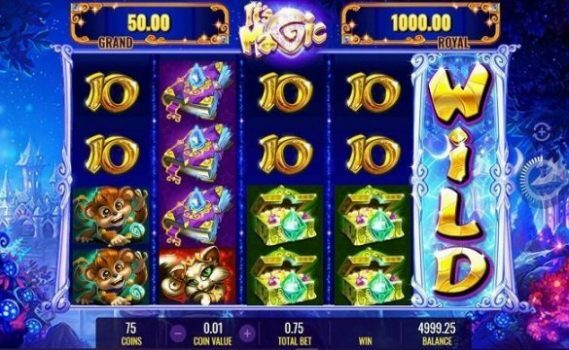 As the name suggests, It’s Magic mobile slot is a magical and enchanting slot game which is being set in a dense forest and the symbols of the game are A, K, Q, J and 10 cards as well as monkeys and cats. The game also includes other symbols such as a treasure chest, a lantern and spellbooks. Lilly is the main character of this slot machine which would provide you 6.66 times on your total stake if you land 5 of these symbols on your screen, because it is the highest paying. As mentioned, the game has a Wild Reel feature. This feature is triggered when you land a symbol fully stacked on a reel and if it takes place then you would win some handsome amount of cash for sure. This IGT based slot i.e. It’s Magic slot has a Free spin feature which is triggered when you land 3 of the It’s Magic symbol on your reels. 3 of these symbols will get you 10 free spins and this could go up to 45 free spins. The game has 2 jackpots and they are Royal Jackpot or Grand Jackpot. The Royal Jackpot gives you 66.66 times on your total stake while Grand Jackpot gives you a whooping 1,333.33 times on your total bet. This jackpot feature can be triggered during base game and on any random spin. 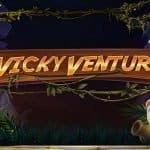 It’s Magic is an awesome new slot game from IGT gaming and if you want t play It’s Magic slot for real money then you should play at Mr. Green Casino, LeoVegas or at any IGT online casino real money listed here at top10casinoreviews.com.